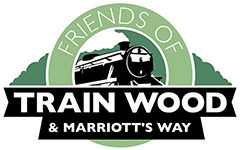 Did you know that Train Wood has bats?! It’s not really surprising that this long, narrow natural corridor is a haven for all sorts of wildlife. Last year we did a bat survey which uncovered some interesting facts. Yet there is still so much to know. Do they navigate using the river? Do they feed on the wing? Do they sleep hanging upside down in the trees? Would they ever really get tangled in your hair? 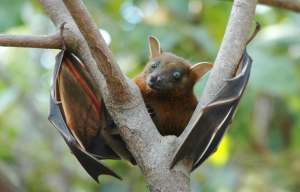 You won’t see one of these Fruit Bats in Train Wood, but you will hear about the local bats!